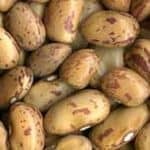 Beans and legumes are an inexpensive heart-healthy food popular all around the world. 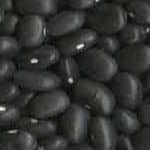 In addition to being high in protein, beans and legumes are also a good source of fiber, iron, and potassium. The current daily value (%DV) for protein is 50 grams per day and is a target meant for most people. Most beans provide between 29-36% of the DV for protein per cup cooked. 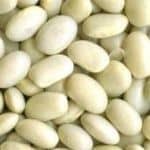 Boiled soybeans (or edamame) provide a whopping 63% DV. 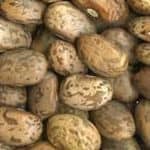 Beans and legumes high in protein include soybeans, lentils, white beans, cranberry beans, split peas, pinto beans, kidney beans, black beans, navy beans, and limas. The list below is ranked by the most protein per cup cooked. 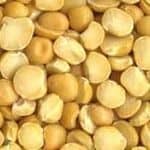 For bean products like tofu and hummus see the extended list of beans and bean products high in protein.